Officially, the development of weightlifting in Kazakhstan began in 1935. Two years later, the first championship of the Republic was held. And already 1954 became the starting point for Kazakhstan weightlifters in the direction of setting world and all-Union records. For example, S. Ulyanov became the champion of the USSR, setting world records in 1958 and 1960. World and All-Union champions A. Kolodkov, P. Kim, V. Drexler, A. Khrapaty and S. Filimonov are kept pace with him. 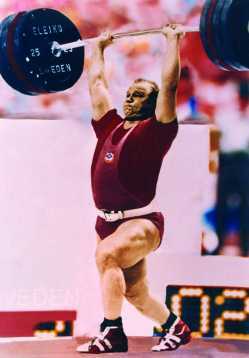 But the first native of Kazakhstan, who became the winner of the World Championship and the Olympic Games in weightlifting is considered to be Yuri Zaitsev. In 1974, at the first World Championship in his career in Manila, he won a bronze medal in the light-heavy-weight category up to 110 kg. After Zaitsev’s victory, this category became traditionally considered “Kazakhstani”. Two years later, at the Olympic Games in Montreal, he repeated his success, taking the “gold”. And at the 1980 Moscow Olympics, 26-year-old Viktor Mazin followed in the steps of a famous compatriot and became the Olympic Games Champion and the World Champion. Four years later, at the European Championships, weightlifter Anatoly Khrapaty from Kazakhstan won a bronze medal. After this victory, until the end of the 80s in the category up to 90 kg, Anatoly had no equal. Already in 1985 he became World Champion in Sodertalje (Sweden), in 1986 – in Sofia, in 1987 – in Ostrava (Czech Republic), in 1989 – in Athens and in 1990 in Budapest. 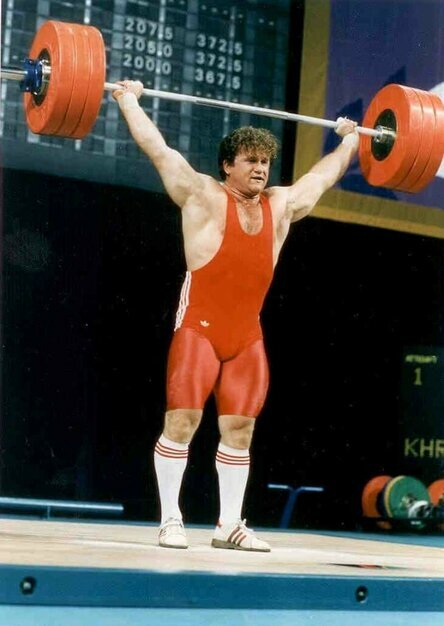 In 1988, the world championship in weightlifting was not held, but even then Khrapaty showed himself well by winning the Olympic Games in Seoul (South Korea). Already after the dissolution of the USSR, the athlete received the first gold medal for the World Weightlifting Championship for independent Kazakhstan. Another athlete from Kazakhstan S. Filimonov won the silver at the Athens Olympic Games. A year later, 17-year-old Ilya Ilyin from Kyzylorda sensationally won in a weight up to 85 kg at the World Championships in Doha (Qatar), making a real sensation. A year later, going to the category up to 94 kg, Ilya became a two-time World Champion, and then a four-time World Champion. In 2009, at the World Weightlifting Championships in Goyang City (South Korea), the combined team of Kazakhstan won four gold medals and took a second place in a team rating. Among them – two girls who won the “gold”. They are 16-year-old Zulfiya Chinshanlo and Svetlana Podobedova. Zulfiya got into the Guinness Book of Records as the youngest World Champion. In order to continue to achieve the same success in weightlifting, a base is necessary for the preparation of future champions. Today, this sport is developing in 14 regions and in three cities of the Republic of Kazakhstan. There are more than 5,000 weightlifters in the country, engaged in weightlifting in 53 branches of our republic.